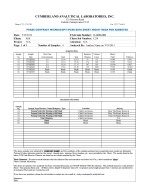 Sample Analysis for Phase Contrast Microscopy per NIOSH Method 7400A for asbestos $5.50/Sample. 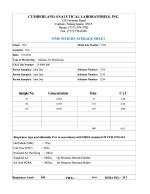 The above will include Time Weighted Average (TWA). 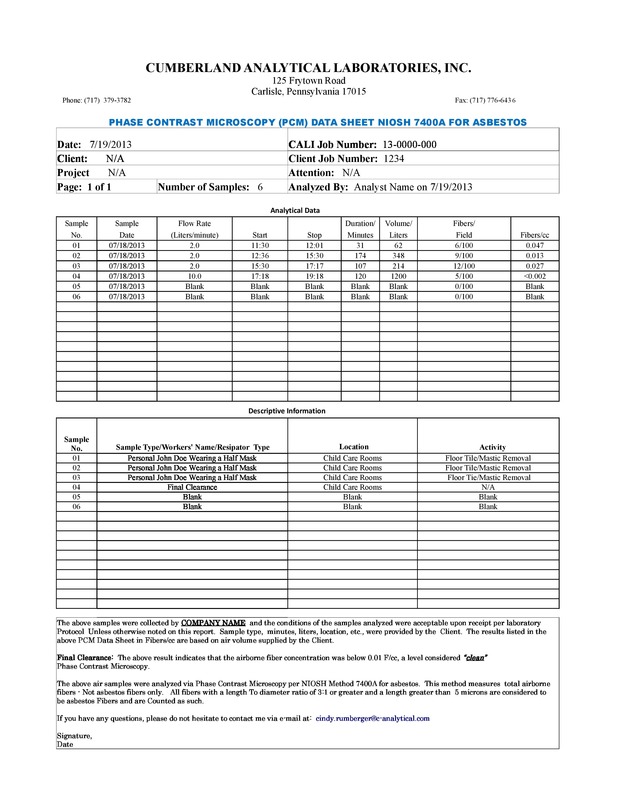 All PCM Sample Analysis Reports will be e-mailed. Turnaround: 2-3 days. 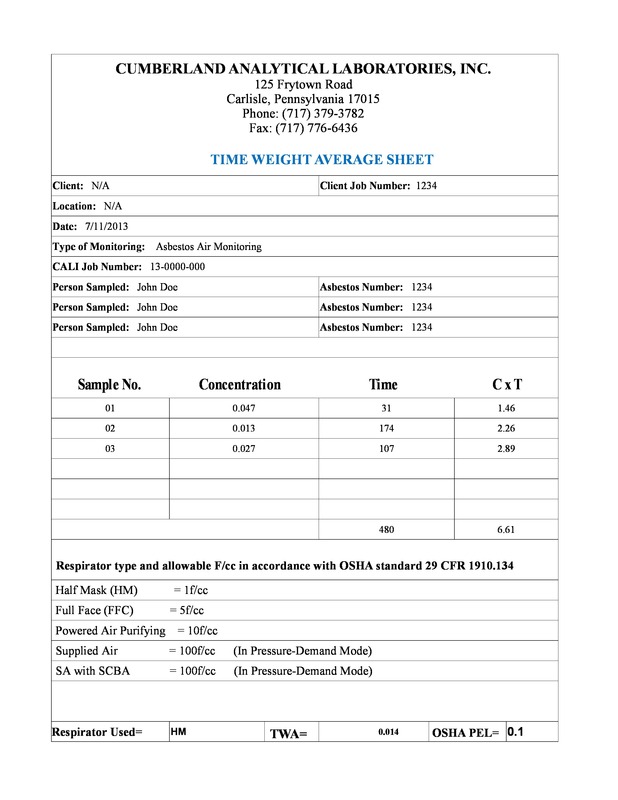 For more information contact: cindy.rumberger@c-analytical.com at Cumberland Analytical Laboratories, Inc.